(a) Notwithstanding s. 108.02 (9), “controlled substance” has the meaning given in 21 USC 802. (b) “Job skills assessment” means an assessment conducted by the department under sub. (2) (d). (c) “Occupation that regularly conducts drug testing” means an occupation identified in the regulations issued by the federal secretary of labor under 42 USC 503 (l) (1) (A) (ii). (d) “Screening” means the screening process created by the department under sub. (2) (a) 3. (e) “Substance abuse treatment program” means the program provided under sub. (2) (c). (f) “Valid prescription” means a prescription, as defined in s. 450.01 (19), for a controlled substance that has not expired. 1. Identify a process for testing claimants for the presence of controlled substances. The department shall ensure that the process adheres to any applicable federal requirements regarding drug testing. 2. Identify the parameters for a substance abuse treatment program for claimants who engage in the unlawful use of controlled substances and specify criteria that a claimant must satisfy in order to be considered in full compliance with requirements of the substance abuse treatment program. If the rules require that a claimant enrolled in the substance abuse treatment program submit to additional tests for the presence of controlled substances following the initial test conducted under sub. (3) (c), the rules shall allow the claimant to have at least one more positive test result following the initial test without, on that basis, being considered not to be in full compliance with the requirements of the substance abuse treatment program. 3. Create a screening process for determining whether there is a reasonable suspicion that a claimant has engaged in the unlawful use of controlled substances. 4. Identify the parameters for a job skills assessment for claimants who engage in the unlawful use of controlled substances and specify criteria that a claimant must satisfy in order to be considered in full compliance with the requirements of the job skills assessment. 5. Identify a period of ineligibility that must elapse or a requalification requirement that must be satisfied, or both, in order for a claimant to again qualify for benefits after becoming ineligible for benefits under sub. (3) (a) or (c). (am) Promulgate rules identifying occupations for which drug testing is regularly conducted in this state. The department shall notify the U.S. department of labor of any rules promulgated under this paragraph. 1. Determine whether the claimant is an individual for whom suitable work is only available in an occupation that regularly conducts drug testing. 2. Determine whether the claimant is an individual for whom suitable work is only available in an occupation identified in the rules promulgated under par. (am). 3. If the claimant is determined by the department under subd. 1. to be an individual for whom suitable work is only available in an occupation that regularly conducts drug testing, conduct a screening on the claimant. 4. If the claimant is determined by the department under subd. 2. to be an individual for whom suitable work is only available in an occupation identified in the rules promulgated under par. (am), conduct a screening on the claimant if a screening is not already required under subd. 3. 5. If a screening conducted as required under subd. 3. or 4. indicates a reasonable suspicion that the claimant has engaged in the unlawful use of controlled substances, require that the claimant submit to a test for the presence of controlled substances. (c) Create and provide, or contract with an entity or another agency to provide, a substance abuse treatment program in accordance with the rules promulgated under par. (a) 2. (d) Create and conduct job skills assessments in accordance with the rules promulgated under par. (a) 4. (3) Drug testing; substance abuse treatment. (a) If a claimant is required under sub. (2) (b) 5. to submit to a test for the presence of controlled substances and the claimant declines to submit to such a test, the claimant is ineligible for benefits under this chapter until the claimant is again eligible for benefits as provided in the rules promulgated under sub. (2) (a) 5. (b) If a claimant who is required under sub. (2) (b) 5. to submit to a test for the presence of controlled substances submits to the test and does not test positive for any controlled substance or the claimant presents evidence satisfactory to the department that the claimant possesses a valid prescription for each controlled substance for which the claimant tests positive, the claimant may receive benefits under this chapter if otherwise eligible and may not be required to submit to any further test for the presence of controlled substances until a subsequent benefit year. (c) If a claimant who is required under sub. (2) (b) 5. to submit to a test for the presence of controlled substances submits to the test and tests positive for one or more controlled substances without presenting evidence satisfactory to the department that the claimant possesses a valid prescription for each controlled substance for which the claimant tested positive, the claimant is ineligible for benefits under this chapter until the claimant is again eligible for benefits as provided in the rules promulgated under sub. (2) (a) 5., except as provided in par. (d). (d) A claimant who tests positive for one or more controlled substances without presenting evidence of a valid prescription as described in par. (c) may maintain his or her eligibility for benefits under this chapter by enrolling in the substance abuse treatment program and undergoing a job skills assessment. Such a claimant remains eligible for benefits under this chapter, if otherwise eligible, for each week the claimant is in full compliance with any requirements of the substance abuse treatment program and job skills assessment, as determined by the department in accordance with the rules promulgated under sub. (2) (a) 2. and 4. (e) All information relating to a claimant’s enrollment in the substance abuse treatment program shall, subject to and in accordance with any rules promulgated by the department, be confidential and not subject to the right of inspection or copying under s. 19.35 (1). (f) The department shall charge to the fund‘s balancing account the cost of benefits paid to an individual that are otherwise chargeable to the account of an employer that is subject to the contribution requirements of ss. 108.17 and 108.18 if the individual receives benefits based on the application of par. (d). (a) An employing unit may, in accordance with the rules promulgated by the department under par. (b), voluntarily submit to the department the results of a test for the presence of controlled substances that was conducted on an individual as a condition of an offer of employment or notify the department that an individual declined to submit to such a test, along with information necessary to identify the individual. Upon receipt of any such results of a test conducted and certified in a manner approved by the department or notification that an individual declined to submit to such a test, the department shall determine whether the individual is a claimant receiving benefits. If the individual is a claimant receiving benefits, the department shall, in accordance with rules promulgated by the department under par. 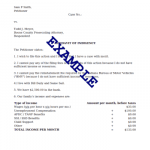 (b), use that information for purposes of determining eligibility for benefits under s. 108.04 (8) (b). (b) The department shall promulgate rules necessary to implement par. (a). (5) Application of this section. (a) Notwithstanding subs. (2) (b) 1., 3., and 5., (c), and (d) and (3), subs. (2) (b) 1., 3., and 5., (c), and (d) and (3) do not apply until the rules required under sub. (2) (a) take effect. The department shall submit to the legislative reference bureau for publication in the Wisconsin administrative register a notice identifying the date on which subs. (2) (b) 1., 3., and 5., (c), and (d) and (3) will be implemented. (b) Notwithstanding sub. (2) (b) 2. and 4., sub. (2) (b) 2. and 4. do not apply until the rules required under sub. (2) (am) take effect. The department shall submit to the legislative reference bureau for publication in the Wisconsin administrative register a notice identifying the date on which sub. (2) (b) 2. and 4. will be implemented. (c) Notwithstanding sub. (4) (a) and s. 108.04 (8) (b), sub. (4) (a) and s. 108.04 (8) (b) do not apply until the rules required under sub. (4) (b) take effect. The department shall submit to the legislative reference bureau for publication in the Wisconsin administrative register a notice identifying the date on which sub. (4) (a) and s. 108.04 (8) (b) will be implemented. (d) The secretary may waive compliance with any provision under this section and s. 108.04 (8) (b) if the secretary determines that waiver of the provision is necessary to permit continued certification of this chapter for grants to this state under Title III of the federal Social Security Act or for maximum credit allowances to employers under the federal Unemployment Tax Act.